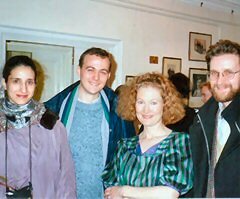 With John Holloway at St. Bartholomew's Episcopal Church (February 2005), after the concert "BACH TO BACH"
After the performance of Bach Organ Sinfonias, October 2003. 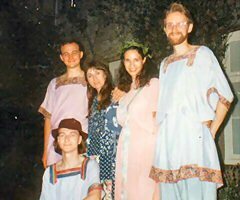 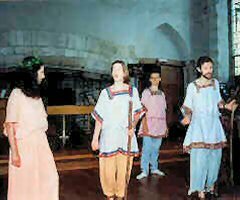 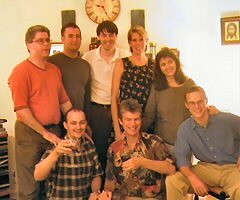 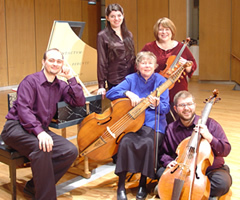 Top row: Joshua Lee, Joyce Alper, Predrag Gosta, William Bauer, Martha Bishop; Bottow row: Ute Marks, Daniela Giulia Pierson. 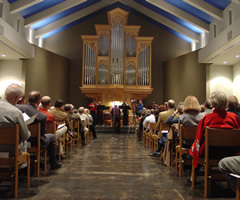 Bach Organ Sinfonias with Joan Lippincott, organ. 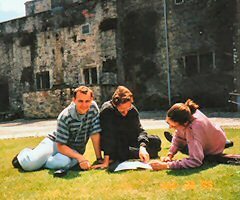 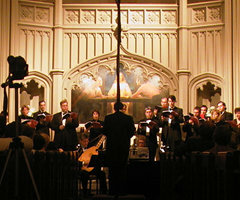 October 2003. 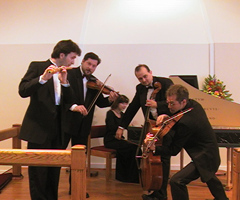 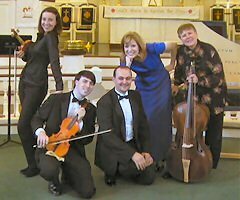 After our 5th Anniversary Season Grand Opening Concert - Vivaldi's Four Seasons and other virtuoso concertos. 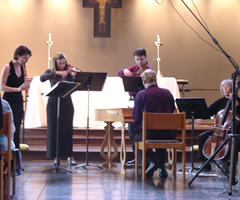 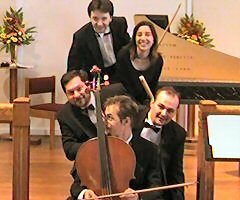 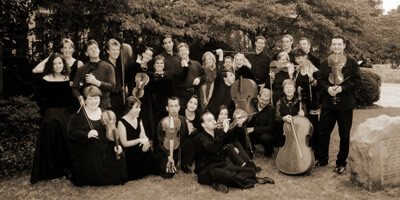 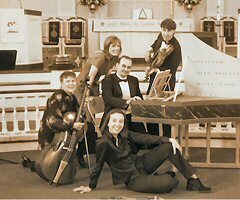 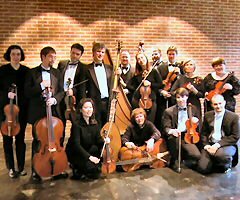 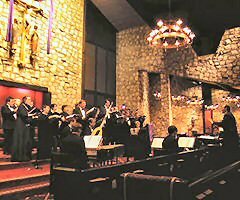 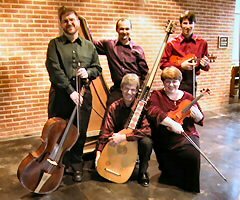 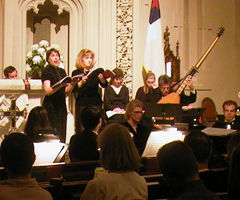 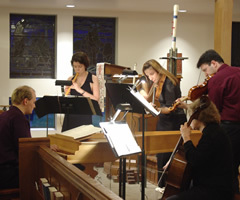 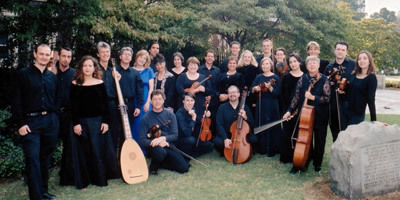 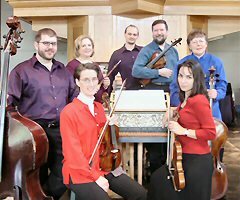 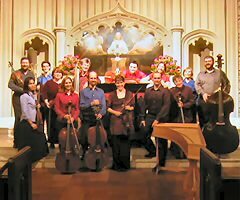 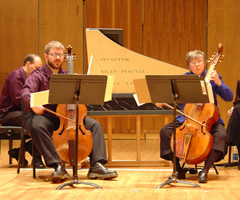 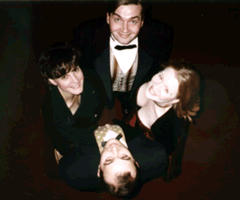 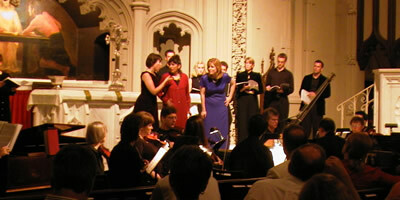 NTB Orchestra with soloists Ingrid Matthews, baroque violin (Seattle), Michael Fields, archlute (England), and William Bauer, viola d'amore (St. Louis). 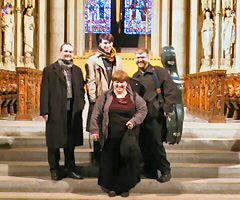 NTB members - Top row: Joshua Lee, Predrag Gosta & James Gallagher; Bottom row: Michael Fields & Martha Perry.